A favourite locals’ secret is the cave at the southern end of the headland, which can only be accessed at low tide from the Sunshine Beach end of the walking track. There is no marked track to get to this, but if you are lucky enough to know a local who can show you the way and are agile enough to rock scramble to get there, is worth the effort. The park itself is home to a vast array of coastal plants, native animals and birds. Koalas are sadly not seen as often now as they used to be, but are still sighted at times. From May to November the lookouts along the coastal track are perfect locations for whale watching. Dolphins are also often spotted. Several sign posted walking tracks meander through the National Park, with entry points on various sides of the park. The best starting point is at the National Park car park, but parking is limited so you may need to walk from nearby Hastings Street or one of the streets above Little Cove. The coastal track is the most popular with tourists, but make sure you also venture inland to enjoy the cooler and diverse forest walks. Nestled just north of the National Park is the beautiful Noosa Main Beach with the cosmopolitan, tree lined Hastings Street directly behind it. Boutique accommodation, 5 star resorts, fine dining and cafés, and a range of shopping options cater for holiday makers and day visitors alike. The options available for each of these are too vast to mention here, but you won’t be disappointed regardless of your budget! At the northern end of Hastings Street can be found the parkland known as Noosa Woods, which runs up to the mouth of the Noosa River. With direct access to Noosa Main Beach on one side and the Noosa River on the other, the area provides walking tracks, shady trees and picnic tables and even a dog friendly beach inside the river inlet. Directly across the river lies the Noosa North Shore, where there are several camping options and 4WD's can access the beach. Car access is via a ferry to and from Tewantin, further up the river. Follow the Noosa River around to the Noosaville foreshore on Gympie Tce, where several kilometres of river front parkland provides shade, shelter, bbqs and picnic tables, playgrounds, watercraft hire, tennis courts, wheelchair friendly walking tracks, not to mention fishing and protected swimming possibilities. Opposite this parkland lies the commercial strip with yet more dining options and shops. If there is one thing Noosa does well it is events. The Noosa Triathalon Multi Sport Festival is a 5-day event consisting of various family, social and sporting activities for everyone to be a part of. The festival culminates in the Noosa Triathlon, the largest Olympic distance triathlon in the world and Australia’s highest profile triathlon event. Noosa Alive is a 10-day arts and cultural festival which offers a huge selection of music, theatre, dance, film, food, forms, literature, visual arts, and workshops. Not surprisingly in an area that boasts wonderful local produce and talented chefs and producers, the annual Noosa Food and Wine Festival provides a feast for the senses. 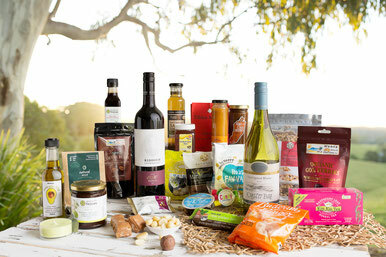 Foodies from around the country descend in Noosa to celebrate great Australian food, wine and lifestyle. Noosa imbues a relaxed beachside vibe in a spectacular setting while offering every convenience and experience a visitor or resident could ask for. If you would like to WIN 2 tickets to the Noosa Food and Wine Festival this year (2018) - simply enter here! The tickets provide entry to the NFW Village on Saturday 19th May. Good luck! What’s not to love in Noosa? See you there soon!